Meet us at the Portuguese Annual Tasting on Wednesday (2nd March) Tables 86 to 88. 5 producers from the region looking to find business partners in the UK. Register for the Portuguese Annual Tasting. Portugal is trendy and a ‘must’ for every shop and restaurant! The Tejo region offers an array of opportunities for buyers. The region is investing in the UK market this year and wants to help its producers find more distribution and business partners. The diversity of wines that the country offers is reflected in this region which has products from entry level to premium wines and for all occasions. Tejo is a region with producers defining its identity and offering products which are just what the market wants. This is the new upcoming and exciting region of Portugal! Certainly the region where Europe meets the New World. If you are interested in attending this seminar, please email [email protected] to book a place. Places are limited and will be offered on a first come first served basis. Introduction by Brian Howard: Co-founder and Associate Director of Wine Intelligence; Wine Intelligence leader for the Tejo Region International Market Growth Strategy project. Charles Metcalfe one of Britain’s best-known wine critics, renowned for speaking as well as writing about wine. He is a well-known face on UK television, having spent 12 years as drinks presenter on ‘This Morning’ with Richard and Judy. He has also presented food and drink programmes. ‘The Wine and Food Lover’s Guide to Portugal’, co-written with his wife, Kathryn McWhirter, won the 2008 Louis Roederer International Wine Book of the Year Award. He has also written books on matching wine with food. He is one of two wine consultants to the Corporation of London. He is co-chairman of the International WINE Challenge, the world’s best international wine competition. He was born in Lisbon, but grew up on Quinta da Lagoalva in the Tejo, which was owned by his grandmother. There he enjoyed watching the vines grow and the grapes being turned into wine. In 2002 he graduated as a winemaker from the University of Trás-os-Montes and Alto Douro. In 2003 he returned to Quinta da Lagoalva, as assistant winemaker to Rui Reguinga. From 2003 and 2005 Diogo worked at Oakvale winery in the Hunter Valley, as assistant winemaker. He spent three years in Australia and New Zealand, soaking up all the secrets of Antipodean winemaking, before coming back to Portugal to take over the reins of the family business. We are a cooperative with land extending to 1,000 ha. Our production is around 7 million litres of which, within our diverse range, 70% is red. We believe in our people, investing in them and in the technology we need to create the best wines possible. Genuine and authentic: This describes the wines of the Adega Cooperativa do Cataxo. A high degree of quality which is recognised by wine lovers all over the world. New wine to discover: Plexus. Very good quality for an accessible price. We export 50% of all our production and are keen to find a good partner in the UK. New vintages to taste: Fiuza Tinta Miúda 2015, Fiuza Alicante Bouschet /Touriga Nacional 2015, Fiuza Alvarinho 2015, Fiuza Touriga Nacional/Merlot. Quinta da Alorna combines a long tradition of wine growing and modern winemaking techniques. The estate was established in 1723 by D. Pedro de Almeida, viceroy of India and the 1st Marquis of Alorna. It is now the largest vineyard in the Tejo region (220 ha), growing a wide variety of grapes and producing several nationally and internationally recognised wines. Quinta da Alorna exports around 50% of its production to 28 markets including the US, Sweden, Netherlands, China and Brazil. Quinta da Ribeirinha is a family based company. Our vineyards are planted on clay-limestone soil, and we have a dry Mediterranean climate. We combine innovation and technology with the experience and knowledge learned over generations. The vines grow on an integrated production system in which the use of chemicals is minimal, saving the environment and looking after human health. Established in 1979, Quinta do Casal Monteiro bottles limited production vintages exclusively from its 80 ha property. With an average age of 35 years, the vineyards are located in fertile alluvial sandy clay soil, rooting in an unusual combination and resulting in a low yield production of high quality wine. Moreover, the characteristic of the sub-Mediterranean temperate climate and its proximity to the river Tagus provides the wines with their own singular identity, revealed in both the lush aromas and the complex palate layered by a superb acidity – They are excellent food companions. 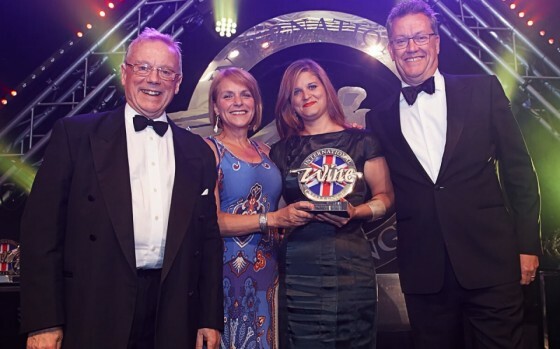 The JK Marketing team won the International Wine Challenge’s ‘Generic Campaign of the Year’ award at the 2015 IWC award ceremony in London for their Wines of Brasil campaign. We would love to introduce you to the Brazilian producers who are exporting to the UK, and to one who is looking for representation. As Brazil’s wines continue to gain listings in major retailers, independents and the on-trade we invite you to discover some new wines and to find out what makes Brazilian wines stand out. 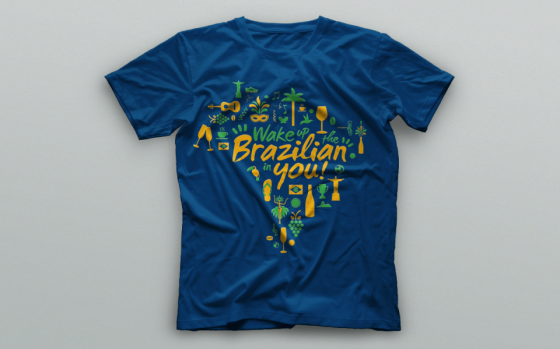 With another major sporting event in Brazil next year, now could be your time to be prepared and Wake up the Brazilian in your customers! 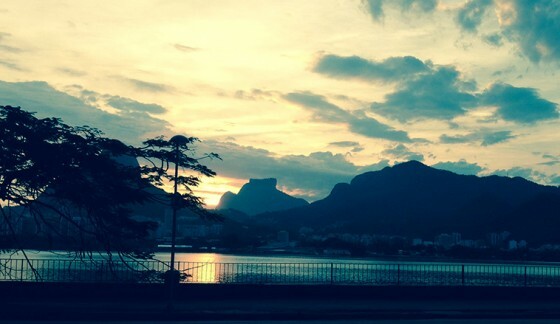 Where in the world: You’ll find the majority of Brazil’s wine production in the South of the country. High altitude and the cooling breezes from the Atlantic help to make this a region of moderate climate, and wines with naturally moderate alcohol. This, coupled with the wine producers Italian heritage, gives you wines that are ultra food friendly and approachable. UK is No 1 for Brazil: The UK is now the biggest export market for Brazil and we are proud to have the support of good agents to supply the UK trade, including: Barwell & Jones, Berkmann Wine Cellars, Bibendum, Casa Leal, Go Brazil Wines, Kingsland, Stevens Garnier, Oakley Wine Agencies and Walker & Wodehouse. 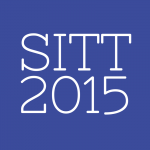 At SITT you’ll be able to enjoy the following wines. About: Limited production of only 12.000 bottles from a single vineyard, aged for 11 months in French oak barrels. Gold Medal – Concurso Internacional de Vinhos do Brasil. About: These grapes are grown in the highest wine producing region of Brazil at 1,400 metres above sea level, in a highly technologically modern and innovative winery. About: Miolo is one of the biggest exporter of quality sparkling from Brazil. Miolo’s focus is on classic grape varieties unconstrained by complex and outdated quality laws which has meant some genuinely ingenious blends and styles have hit the market. Its commitment to supporting the growth of the Brazilian wine industry is unmatched, Miolo being the largest exporter of high quality white, red and sparkling wines. About: Produced using traditional method with manual disgorgement. Gold Medal – Concurso Internacional de Vinhos do Brasil. About: Grapes were grown in Valduga’s own vineyards in the Vale dos Vinhedos. This “valley of vineyards” is a sub-zone of the Sierra Gaúcha region, and was the first area to be awarded DO status in Brazil. The vineyards are planted on fairly steep basalt slopes at 400-800 metres above sea level.The grapes were hand-harvested and then underwent a further selection in the winery. The grapes were destemmed and gently pressed. Fermentation was carried out at 15ºC in stainless steel tanks, using Champagne yeast. The second fermentation took place in bottle, and after twelve months on lees, the bottles were riddled and disgorged. About: Vincola Salton is a family-owned winery founded by Paulo Salton and his brothers. Now, the fourth generation is involved in a variety of fronts. Committed young entrepreneurs with thousands of ideas, they continuously seek new improvements whilst maintaining important traditions. Their wines are of excellent quality, a true point of difference with varietals truly expressive of the quality and diversity available from Brazil. Wines of Brasil will also be at Prowein, Vinexpo and the London Wine Fair (where individual wineries will be on their importers’ stands). 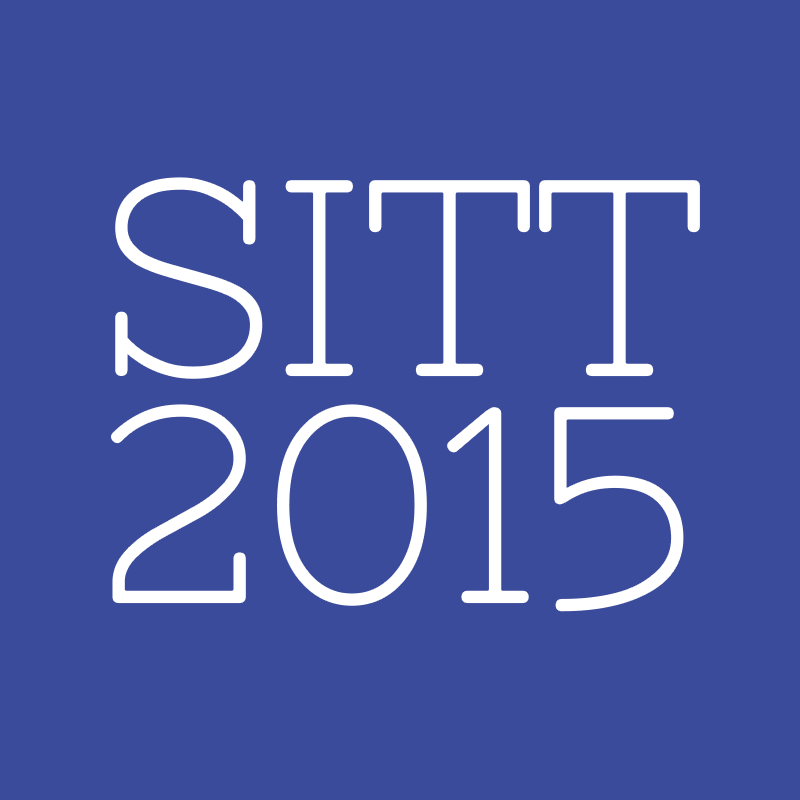 If you’d like to book an appointment with the Wines of Brasil team or with any of the producers at SITT, or any of these other events, please get in touch with Judy Kendrick or Ana Sofia de Oliveira. The group unveiled its new look and new wines at London Wine Fair’s Esoterica section, and says the exposure there helped boost sales fivefold. The firm now has 67 wines from 22 producers in six countries – and added a host of Italian wines to its list. 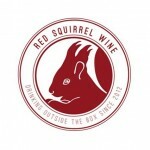 Red Squirrel already specialised in Italy’s Liguria region, but has now added a host of wines from Piedmont including La Torricella from Monforte and Cà ed Balos (Moscato d’Asti), Franco Mondo (Barbera d’Asti), Pelassa (Roero Arneis) and Tenuta La Pergola (Cisterna d’Asti). South Australian winemaker David Bowley will see an additional three wines added to his Vinteloper range while Muscadet grower Frédéric Guilbaud makes his debut on the list. There are also two new wines from Ribera del Duero, developed over the past year by Red Squirrel in conjunction with 12-hectare Viña la Loma and Bodegas Vitulia. Managing director Nik Darlington said wholesale trading has grown sixfold in value year-on-year, with a fivefold increase in value since the London Wine Fair in June 2014. Until this year, Red Squirrel was almost entirely a consumer-facing business. Now it also supplies independent wine shops and on-trade outlets across the country. Darlington set up Red Squirrel in 2012 and now employs three full-time staff, including Rob Woodhead in sales. Wines of Brasil has unveiled the recent export figures of Brazilian bottled wines to the world for the first four months of 2014. The UK now takes first place in the roll call of export destinations. The 16 producers currently exporting to the UK notched up US$1.2 million of sales in value and 283,000l in volume. These four month figures represent growth of +224% and +287% respectively compared to the whole of 2013. In total, Brazil exported US$5.7 million of bottled wines in the first four months of 2014, with the UK alone being responsible for 1/5th of the total. The average price per bottle is now US$4.33. Those recent figures are as a result of new launches from some of the major retailers as well as the formation of new agency agreements. A full list of producers and their agents can be seen further down this press release. They are also launching a new category in their stores for the World Cup. Marks and Spencer has now launched a full range of 4 new wines. Already available at Tesco, Bargain Booze, Rythm and Booze, Londis and Budgens. The 100% moscato (Bianco and Giallo) with 40% of residual sugar has ony 8.5% alcohol and is produced by Aurora winery from the main wine region of the country, Serra Gaúcha. 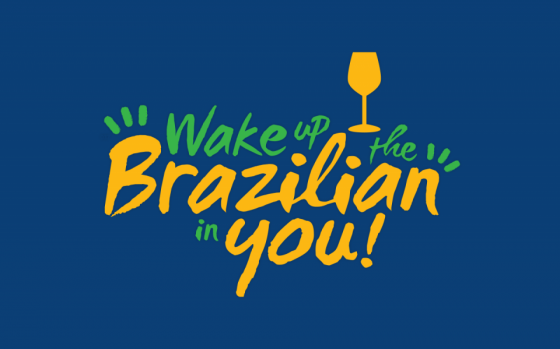 This year, the export programme Wines of Brasil has launched a new campaign called ‘Wake up the Brazilian in You’ with a consumer competition to win a trip to Brazil in 2015 (neck-collars on the bottles to promote the online competition available at www.wakeupthebrazilianinyou.com). Retailers too can get a chance to win a trip to Brazil (in fact to Carnival in 2015) by entering the window display competition which will run during the World Cup. 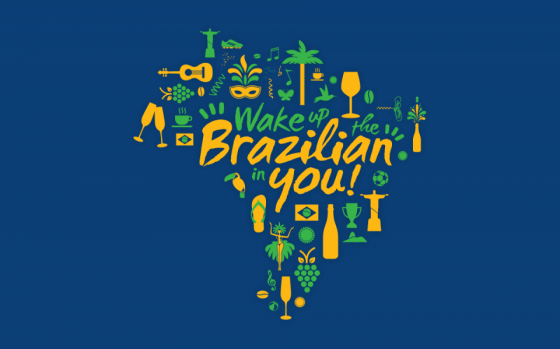 To date 92 different shops have signed up to take part; we are delighted to see so many retailers getting ready to wake up the Brazilian in their customers! Each participant has been sent a POS pack to get them started.